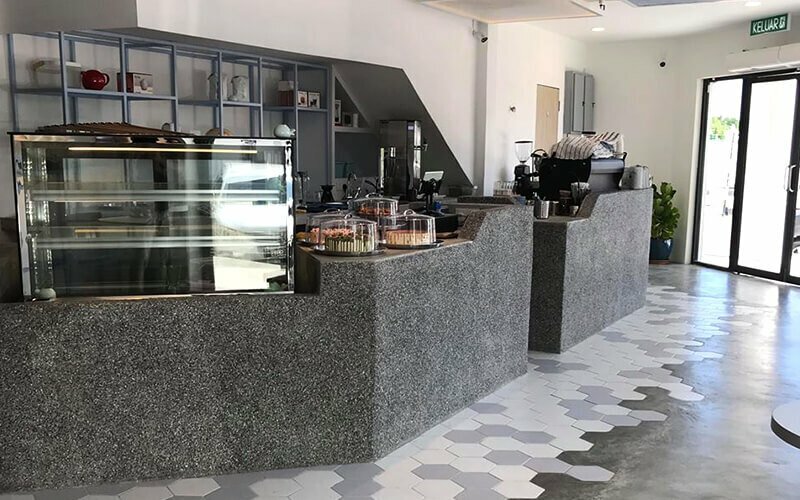 Big Whale Cafe lays beached within the quaint town of Seri Manjung in Perak to offer sweet and savoury delights. Customers are greeted with nautical themes that line the eatery in the form of whimsically designed tiles and ceiling decor in addition to a crisp blue whale mural to make for a refreshing sight. Diners feast on selections of Western brunch platters and savoury poultry meals, pastas, Japanese omu rice bowls, cakes, coffees, and more at the quirky cafe.